Increase productivity and reduce the total cost of scanning ....All at an affordable price. The DocuMate 765 production scanner offers a powerful combination of image quality, 10,000 page daily duty cycle and 65 pages per minute speed in portrait. 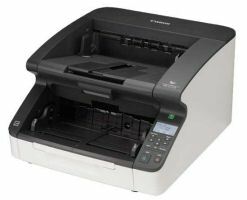 The DocuMate 765 has the ability to scan a wide range of document sizes and supports long document scanning up to 34 inches. 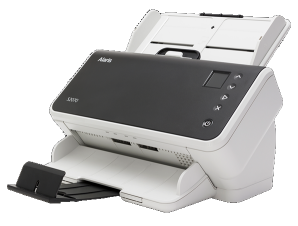 The DocuMate 765 is powered by Visioneer OneTouch scanning technology for simplifying scan jobs and workflows. Visioneer OneTouch eliminates the multiple steps usually required to save scanned documents in popular file formats, including searchable PDF, and send them to ECM applications such as Microsoft SharePoint, Kofax Ascent Collection Server, EMC QuickScan Pro, Hyland Software’s OnBase, Laserfiche, DocuWare, Xerox DocuShare and ScanFlow Store and/or to devices such as printers and storage systems in just one touch. There is also a software development kit available to create OneTouch links to custom and proprietary applications or locations such as printers, fax servers or network folders. Ensuring that your images are of the best quality possible at the point of capture is critical to the rest of the document management workflow. 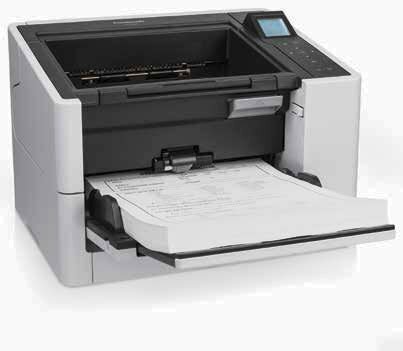 The DocuMate 765 provides both high quality image enhancement and increased productivity with Kofax VRS Professional AIPE-EBC for auto-everything scanning, including Auto Rotation, Blank Page Deletion and Auto Color Detect. Without exception, VRS Professional improves your workflow and reduces the total time needed to scan even the largest volumes of mixed batch documents. Taken together, the Xerox DocuMate 765 and the Kofax VRS Professional bundle translate into real and measurable savings - fewer manual steps, reduced storage requirements and less operator intervention. Great image quality will significantly impact the success of data extraction, recognition, and retrieval. VRS and the DocuMate 765 help you say goodbye to the "garbage in, garbage out" dilemma. ADF Minimum Document Size: 2" x 3.5"
ADF Maximum Document Size: 11.7" x 34"